Jamie Brandon won his first Scotland U21s cap in Friday’s 0-0 draw with Mexico. The Jambos full back played 90 minutes in the Marbella stalemate and could feature again when Scot Gemmill’s side take on Sweden in another friendly match this afternoon. Kick off is 12.30pm in Marbella. John Souttar was an unused substitute in Scotland’s European Championship qualifying double-header. Scotland fell to a 3-0 defeat in Kazakhstan on Friday before beating San Marino 2-0 yesterday. 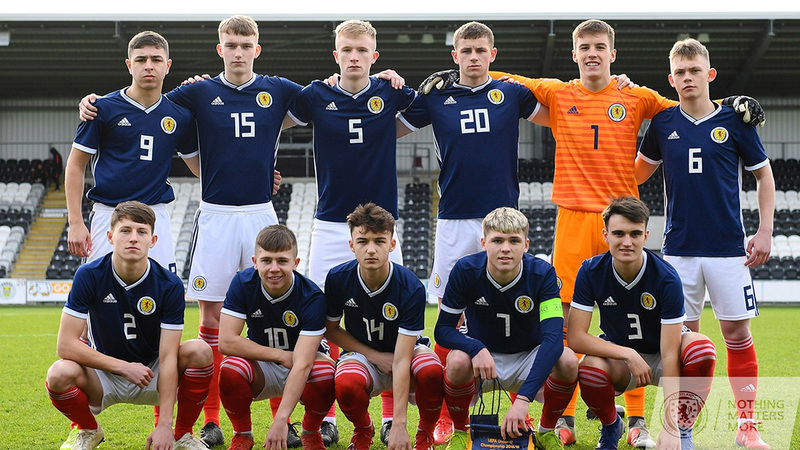 Harry Cochrane gained his fifth Scotland U19s cap when they beat Cyprus 4-0 on Saturday. 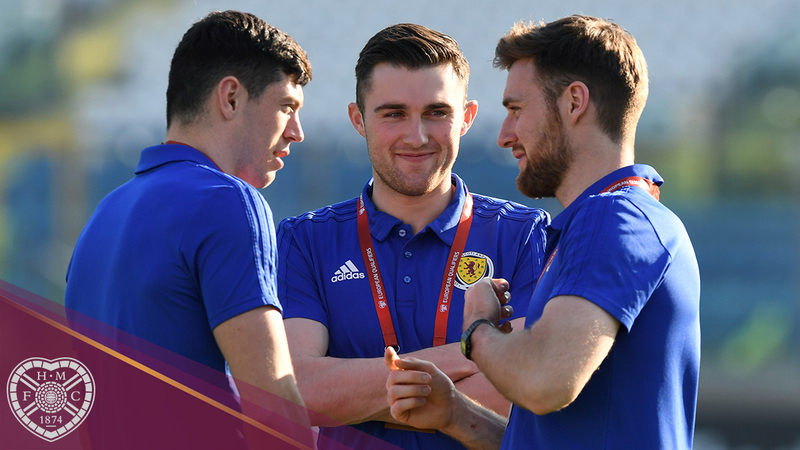 The midfielder was introduced in the 71st minute as the young Scots followed up their UEFA Elite Round qualifying stage win over Turkey on Wednesday. Scotland now face hosts Portugal in a top of the table clash tomorrow in Porto. If Billy Stark’s side avoids defeat then they will qualify for the European Championship finals in Armenia. Connor Smith captained Scotland U17s to a 3-0 loss against Russia in Paisley on Saturday. Cameron Logan played the full 90 minutes with Aaron Hickey an unused sub. The result means the U17s have been eliminated from the UEFA Elite Round, and won’t appear at the European Championship finals in Ireland. They face Poland in their final group game tomorrow, and the winner will avoid bottom spot. 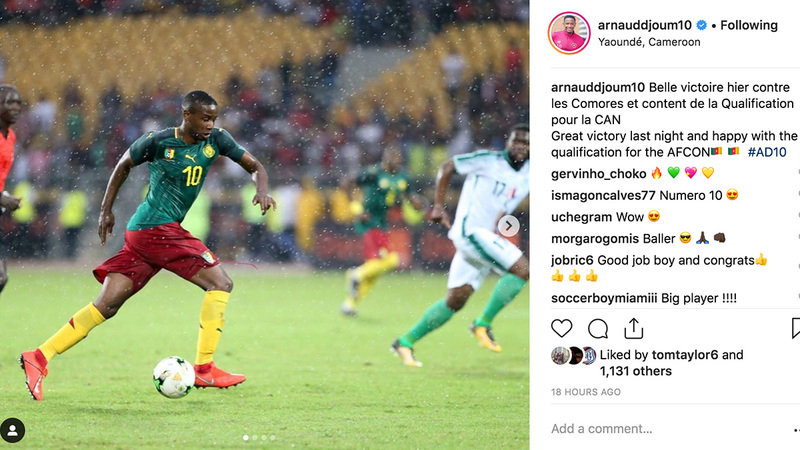 Arnaud Djoum’s Cameroon have qualified for the 2019 Cup of Nations after a 3-0 win over Comoros on Saturday. Djoum, who won the competition with the Indomitable Lions in 2017, started the match and the result meant they finished as Group B runners-up to Morocco, booking their finals spot in the process. This year’s finals, the African equivalent of the Euros, take place in Egypt this summer. 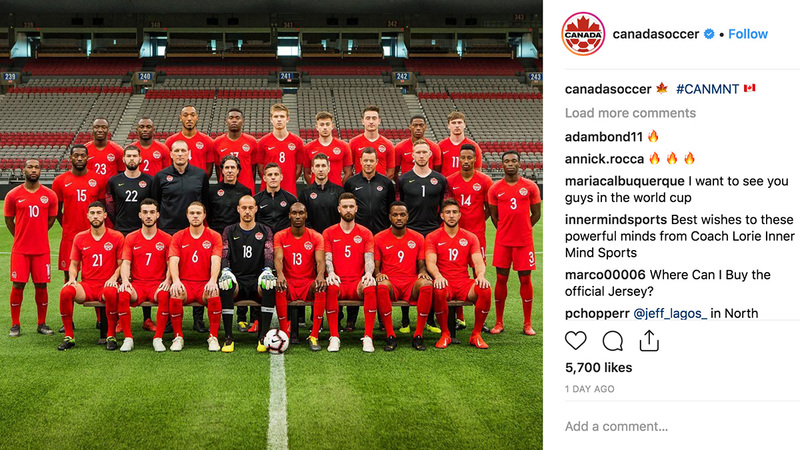 There was more good news for Marcus Godinho’s Canada as they secured safe passage to the 2019 Concacaf Gold Cup. Godinho was an unused sub as Canada defeated French Guiana 4-1 in Vancouver. The finals take place in Costa Rica, United States and Caribbean this summer. Aaron Hughes was an unused sub as Northern Ireland kicked off their European Championship qualifying campaign with maximum points. A 2-0 home win against Estonia on Thursday with another Windsor Park victory yesterday, beating Belarus 2-1. Bobby Burns’ Northern Ireland U21s cane out on top against Alex Petkov’s Bulgaria’s U21s in a friendly match on Friday. Burns was on the bench while Petkov started the match, which Northern Ireland won 1-0 in Marbella. Both teams are back in action today; Northern Ireland face Mexico while Bulgaria take on Finland.